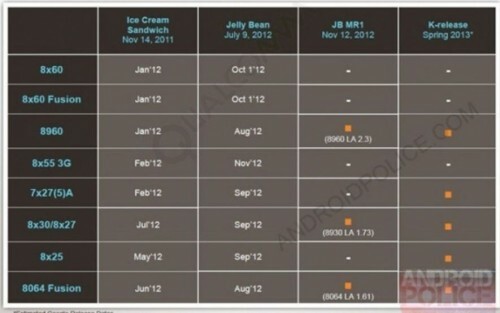 So finally your craved choice of smartphones is in your hands, and you’re satisfied with it, except for battery backup. You dreaded for it before buying, you had concerns about its battery life, yet you put your trust in YU brand, and now you’re considering whether you made the right choice. Well, you’re not alone in your dilemma. Very low battery backup issue for some users on Yureka is mainly due to software based problems. Not all users are getting low battery backup on Yureka. Most of the users are content with the battery backup and hope to see improvements in near future as Cyanogen updates its OS for Yureka. Those of you who are facing severe battery issues, this post is especially for you. In this guide, I’ll go through required troubleshooting to fix your battery life problems. Before proceeding with this guide. Charge your battery to full (99%-100). Now do not charge again until the battery percentage reaches below 15%. Once battery percentage drops below 15%, go to setting > battery and observe all the details of battery usage. Battery usage is vividly depicted in form of percentage corresponding to apps, services and hardware. Find out what is using most of the battery. Ideally, it should be screen on the top eating majority of battery and then other apps and background services. Are you using 64gb micro-sd card in Yureka? If yes, you may consider using 32gb micro-sd. High capacity 64gb memory card might be too taxing on your phone. If you’re not using 64gb card, your existing memory card might have corrupted data sector. Whatever memory card you are using (32gb or 64gb or any other size capacity), erase and format your memory card (using pc if possible with FAT32 filesystem). Charge your phone again to its full capacity and then check battery usage when the charge drops to below 30%. If mediaserver is still in the top draining your battery, proceed to the next step. Factory reset everything – your phone, memory card. GO to setting> backup and reset> factory reset > erase sd card. After successful reset, setup your phone with Google and Yu account and do not install any other app. Charge your phone fully and then check battery usage when the battery meter goes half empty i.e. lower than 50%. If mediaserver is still there at the top, proceed to step 3. If not, install all your trusted desired apps. Go to setting, there is search icon on the top, search for performance, select it. In performance, choose profile to powersave. Again check battery usage from full charge to less than 50%. After choosing powersave mode, if your phone reboots automatically, select balanced mode again. You can also easily toggle between the performance modes by adding a toggle button in notification toggle window for performance settings. Remove Play Music widget from Android homescreen. Reset data of Gallery app (Setting>Apps>Gallery>Clear Data). Make sure your Yureka is updated to latest Cyanogen version (Setting>about phone>system update>check for update) – Low battery backup issues have been acknowledged by Cyanogen team and they’re working on to improve battery life. I’ll keep updating this article with more tips/issues/solutions related to Yureka battery backup. If none of the above steps helped you, reply here in comment with battery usage details. Next PostWhat is WhatsApp Broadcast feature? Difference from WhatsApp Groups? 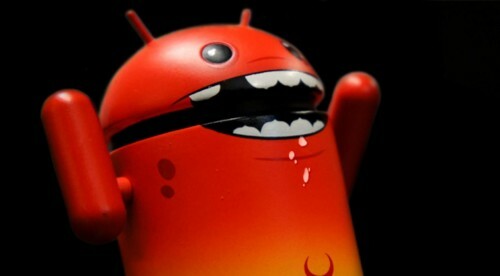 New Android malware takes good care of your privacy! I am unable to see the contents of internal memory and sd card on my pc after the update.Can u pls tell me some solution of it. Connect phone to pc and then on mobile, Go to setting > storage and then tap on option button, disable and enable mtp connection. Did you pull/slide right from left side and select sd card in the default file manager to show the same? You may use other file manager app like es file explorer. Press the left bottom portion outside the screen.. Option button. U can see it there. my yureka is taking more than 3 hours to get fully charged,, during this duration i dont even use the phone n wifi is disabled also. plzz suggest me any solution. problem 1-battery gets drain fast even though not using.night i will charge 99%. morning it will be less. problem2-mobile will be heated soon while attending calls,even though talk less. candy crush or crazy kitchen(mobile get heat very soon for this app). problem 4- some times while taking photo,will get blured image. kindly give the solution .I don’t want to repent like i would have bought new cell like samsung,moto g etc…. for buyiing this mobile. my yureka is taking more than 3 hours to get fully charged,, during this duration i dont even use the phone n wifi is disabled also. Hello, I read most of the problems and it seems majorly related to battery or battery backup. I did find this problem but also a new addition to this my battery gets drains after attached to my PC or any other external device such as pen drive via OTG. It means my battery looks like giving away it’s power to this device. Totally confused with this matter. If anyone encounter this problem please help. Sir I have pblm valume.how to increase sound.please tell me. Saurabh plz could you help me ……. In my yureka mobile Plz tell me what to do . 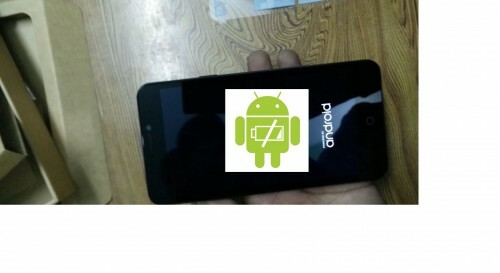 And i want to root my yureka too. Plzz help me….. Try with third-party app like es file explorer and then report here. Its worked with using es file explorer now i can transfer data from sd/internal memory to usb . thanksss a lot . My handset, like all other Yureka smartphone had been offering very poor battery. The battery drained by 10% in just 15 minutes even when I wasn’t doing anything, and the phone wasn’t connected to the internet! Distressed, I searched for solutions to the problem, and I came across one that told me to delete all the files of the format that the Android system didn’t support. So I deleted some movies, as whenever I copied any movie from my PC to my smartphone, it showed “Your phone might not be able to support this kind of format. Do you still want to continue?”. After deleting the movies, my Battery is as good as new and it has been functioning perfectly. As read somewhere in blog, I’ve changed the runtime option from Dvanik to ART(android run time). Is is safe ? ART is safe. In Lollipop version of android, ART is the default runtime, but Cyanogen Kitkat version may not be best optimized for ART.. So, if you face random issues, you may try reverting back to dalvik for the time being. If you don’t face any, stick with art. whenever i look at the battery settings it show that the phone is awake for all the time ,i am facing a low battery backup as well ,the awake timing does not corelate with the screen on timing . what should i do ? i bought the phone on april 2nd . What’s at the top in battery usage? i have only battery backup probem… its get drained very fast.. please help me..
screen is consuming major portion of the battery and its around 45%, are there any measures to reduce it? Hi am facing kind of battery issue in Yureka mobile. My battery not charging i don’t know what is happening i am facing this issue from the date of purchase my mobile. It will charge after two days. Then work properly for 3 to 4 days again facing the same problem. I didn’t get any proper support from Yureka team. Please help me to come out from this issue. Past two days my mobile not charging. Mobile shows the charging symbol but the percentage not increase. Yesterday mobile got charging and i switched off the mobile to insert my sim card and again i switch on yureka mobile the battery level decrease to minimum percentage that is 5%. Again its not charging. And customer support also not helpful. Reach YU team only through email and we get reply after 2 days. Please help me to come from this issue. If any body want to reach me pls call this no. I started facing the same problem on my Yureka handset. I would like to know if u have found any solution. Please help me. You should first report here after checking battery usage in setting as what is draining Yureka battery? Recently my Yureka is taking 10 hours for full charge. What is the solution please? My phone is taking more than 10 hrs to charge full. And discharge in 2 hrs only.. I am using yureka plus mobile. Battery drains quickly even though i am not using it. its just 1 day old.I charged it full 100% i kept aside whole night after i woke up in morning it was 90% is this battery manufacturing problem or i need to do something else to safe battery life…….. I m facing the battery problem. When I removed charger its showing a mobile has a charging.. Why? Second problem is…when mobile charging it heating and touch problem plzz. Help me solve those problem.. Give me a solution. Earlier I was to view my camera photos by swapping the screen after capturing the photo. This has stopped. Kindly help how to view photos once clicked. Hello sir….My phone is not opening now….it just show a blank screen interuppred by charging sign…I think its a battery problem…Suddenly next Morning i found same 5℅ battery after charging same that i lwdt at night…Now phone is not opening also showing low battery sign….The yu charger works good on all other phone…pls recommendpls ,what to do? My Yureka AO5510 got replaced after 4months just before the warranty expire and the phone I got is not charging anymore. I keep it plug in for 2hrs but instead of charging it get reducing and now it is 0% charge I don’t even switch it on now. My yureka mobile isn’t charging. Hi i am having problem in my micromax yureka ,first model of the series. Lock button is not working. If i pull out the bettery and start the phone,it starts. But after restart when i try to unlock device after 2 or 3 mins lock button doesnt work. Can any one help me. And it’s battery backup was so annoying and I’m using it on Android KitKat and Never got an update for software. I HV a battery problem pls tel me how to solve that prblm….. I have a complaint of battery draining problem….I can’t able to solve …..I was tried in many ways….but now there is trouble shooting in charging process….Plz help me dudess….